Last year, I found myself in a similar position as many other recreational drinkers. I was in a drinking rut. I was picking up the same bottles of well-known and well-loved brands without thinking about picking up something different. Now, don’t get me wrong. I love a bottle of Jack Daniel’s as much as the next guy and it can be scary to drop money on an unknown bottle of whiskey, especially when there are so many options out there. But by sticking with the same things you’ve always drank, you end up missing out on some really great whiskeys. Too many people think that you need to spend a ton of money to get a great bottle of whiskey, but some of the worst whiskey I’ve ever had cost over $100 and some of the best under $50. Drinking good whiskey is a hobby worth having, but it doesn’t have to break the bank. It's important to step outside your comfort zone frequently, especially when it comes to your drinks. So, for this list, I’m excluding the four very popular and budget friendly "J" whiskeys; Jack Daniels, Jim Beam, Jameson, and Johnnie Walker. Let’s get started. Probably the most widely-known whiskey on this list, Wild Turkey was a personal favorite of professional drinker/writer Hunter S. Thompson, modern day hippie/actor Matthew McConaughey, and Whiskey, Ink, and Lace blogger, Mike Wargo. A good selection for people who aren’t quite ready to stray too far from well-known whiskeys, Wild Turkey is surprisingly smooth and subtle, despite its high proof. Just don't let it's smoothness trick you. That buzz will escalate to drunk a lot quicker than you realize. 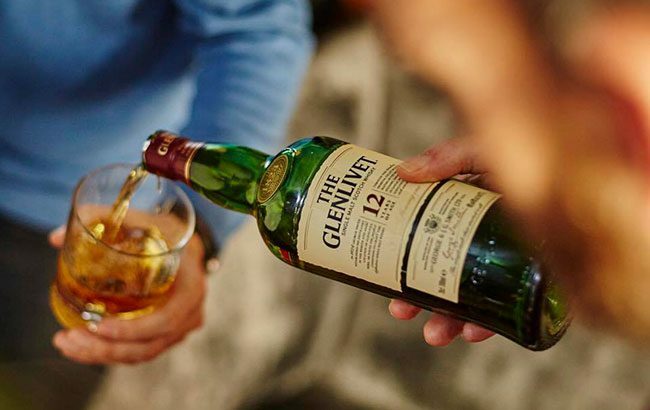 Glenlivet has been making scotch for nearly 200 years, so it’s safe to say they’ve got their process down. And with a company that has lasted so long with such prestige, they could easily charge way more for their scotch. And yet their 12-year scotch is not only affordable, but really f! @#ing good. Perfectly balanced, yet surprisingly complex, Glenlivet’s scotch tastes much more expensive than it’s price tag shows. There’s a pretty long list of celebrity owned alcohols out there, and they range from amazing to absolute trash. 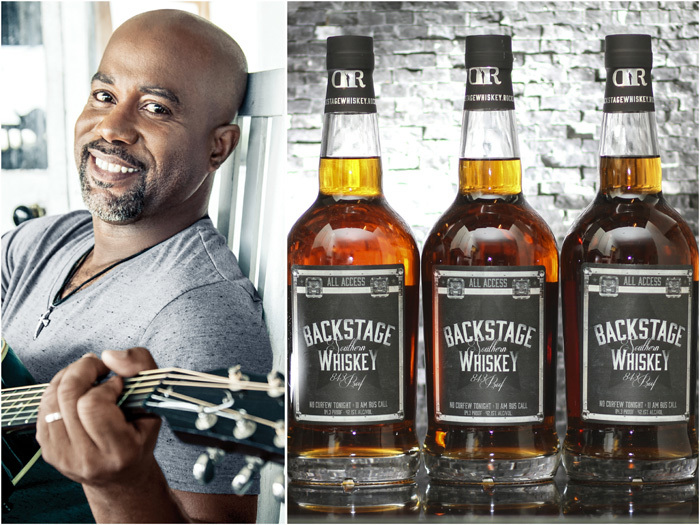 Of those that are amazing, Darius Rucker’s relatively new brand, Backstage Whiskey, can stand pretty tall. Constantly stocked in the Whiskey Neat Barbershop, this whiskey has a very mellow finish and is loved by everyone who tries it. It’s not available nationwide yet, but if you find yourself in South Carolina, Tennessee, Georgia, or Kentucky, pick up a bottle. Or three. You might as well since the price is so reasonable and the whiskey is so good. It very easily can become your home bar staple. I highly recommend trying it with ginger ale and lime juice for an easy cocktail. Don’t let their goofy name throw you off. 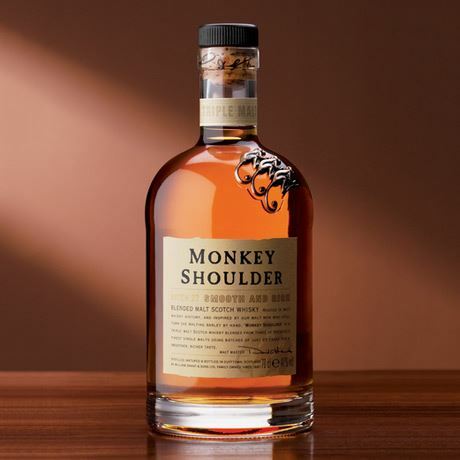 Monkey Shoulder is an amazing blend of three William Grant single malt whiskeys. Ask any whiskey enthusiast whose tried it and you’re likely to be stuck listening to them babble lovingly about it for hours. That’s how good it is. It’s only a matter of time before the drinking masses catch on to this fantastic blend. Be ahead of the curve and pick up a bottle. I first tried Eagle Rare in an Airbnb in Louisville, KY. I booked this particular Airbnb because it came with complimentary whiskey. In two days, I finished half the bottle of the free Eagle Rare, and then picked up a bottle on my drive back to Nashville. The buzz of free whiskey wasn’t what made Eagle Rare go down so well, but the spicy and citrusy flavors and the incredibly smooth finish. It’s one of the few whiskeys I prefer to sip neat. A lot softer in taste than most bourbon, Basil Hayden is a great crowd-pleaser. It’s complex enough for a connoisseur; yet mellow enough for a whiskey rookie. A few of my friends and I spent several hours splitting a bottle last month. While some of us were more well versed in tasting whiskey than others, everyone was able to enjoy this great bottle with no complaints of it’s flavors. I don’t know about anyone else, but when I hear the name Four Roses, it conjures up images of seedy dive bars and happy hour beer and shot specials. It always reminded me of bourbon that was served on special because it’s cheap and tastes like it, only consumable when quickly chased with a large gulp of Coors Banquet. These associations were quickly corrected after first imbibing in the Four Roses Small Batch Bourbon. Streets ahead of the typical Four Roses, the Small Batch is balanced and smooth, but costs about as much as a bottle of Jack! Rarely do you find a small batch bourbon this cheap and this delicious. No chaser necessary. A nice blend of sweet and spicy flavors, this is a great Nashville whiskey from one of the city’s best distilleries. This particular brand of bourbon is also interesting for the story behind it. The original Green Brier Distillery closed down in 1909 due to Tennessee Prohibition. Over a century later, the original owners great-great-great grandchildren, Andy and Charlie, reopened the Green Brier Distillery and began making small batches of some fantastic bourbon. In it’s heyday, it was outselling Jack Daniel’s. You can try any number of its variants, including the sherry cask finish and cognac finish, but I'm partial to the original, classic bourbon. 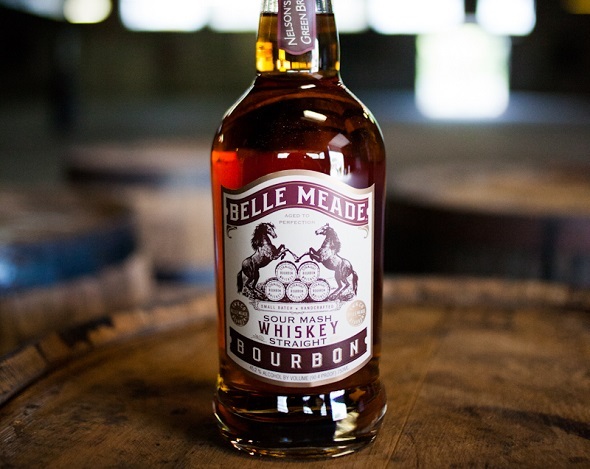 This is another great Nashville whiskey worth checking out. Corsair has a pretty extensive spirits list that you should try, including the Ryemageddon, Spiced Rum, and Barrel Aged Gin. They didn't win 2013's Craft Distillery of the Year for nothing. But in my mind, their best is the Triple Smoke. Super complex with three different kinds of smoked barley, each barley is smoked over a different kind of fuel (cherry wood, peat, and beechwood). This is a great budget whiskey if you're looking for something uniquely flavored. What’s your favorite budget friendly whiskey? Let us know in the comments! And don't forget to drink responsibly!